Surge Volleyball Club was formed in 2012 for the 2013 season and has grown from 1 team in 2013 to 22 teams in 2018! With the expectation of 12 to 20 teams, we have been looking for qualified coaches to help us grow our club. Quality Coaching is at the forefront of our minds and we are always striving to improve our coaching staff by offering coaching clinics, onsite IMPACT training, a coaching mentor program and an abundance of experience from our resident permanent coaches. If you are interested in joining our coaching family, Contact Us and let us know what experience you have or if you are interested in getting started. We partner our new coaches with seasoned coaches as assistants so they can learn the in’s and out’s of coaching as well as what we focus on as a club. 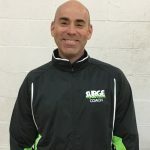 Ron Humer – Club Director and Founder of Surge Volleyball Club (SVC). 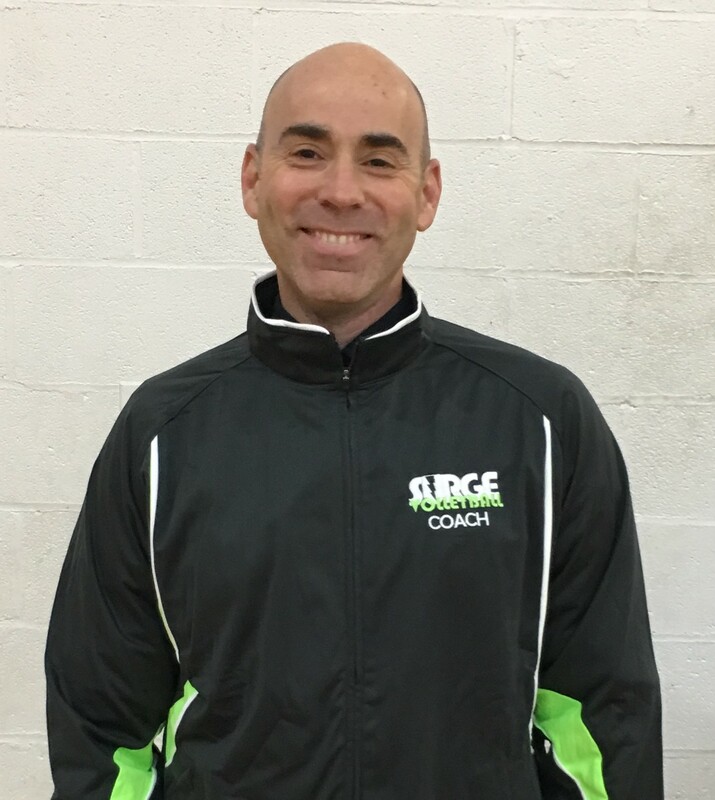 Mike Maston – 18’s Head Coach – 5th Year with Surge VBC. Ron’s Coaching Philosophy: to improve the team by improving each player. His focus on making the players more knowledgeable and technically sound is only overshadowed by his sharing of the love of the game. Ron is IMPACT certified, CAP I certified, has a Certificate of Completion for the “Art of Coaching”, a Certified Personal Trainer, Positive Coaching Alliance (PCA) certified, a member of the Pennsylvania Volleyball Coaches Association (PVCA) and member of the American Volleyball Coaches Association (AVCA). Ron was voted the Berks County Girls High School Volleyball “Coach of the Year” for the 2013/14 season. Victoria Leidy started playing volleyball at Boiling Springs High School as a middle and outside hitter. She was team captain her senior year of 2011-2012. Victoria played club volleyball with the West Shore YMCA and Revolution Chambersburg. She was a right side, outside, and middle hitter at one time for each team. After high school, she went on to play for Elizabethtown College as an outside and middle hitter. She was team captain at Elizabethtown in 2015-2016. 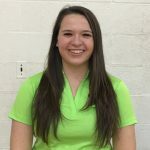 Victoria is excited to share her passion and excitement about volleyball with other players, and cannot wait to begin coaching. Kelsey started playing volleyball in 9th grade at Shenendehowa High School, located in upstate New York, as a means for getting in shape for basketball season. By her junior year her passion for volleyball overshadowed basketball and continued her varsity career for the next two years. She then played four years at the collegiate level for Kutztown University of Pennsylvania from 2011-2015. 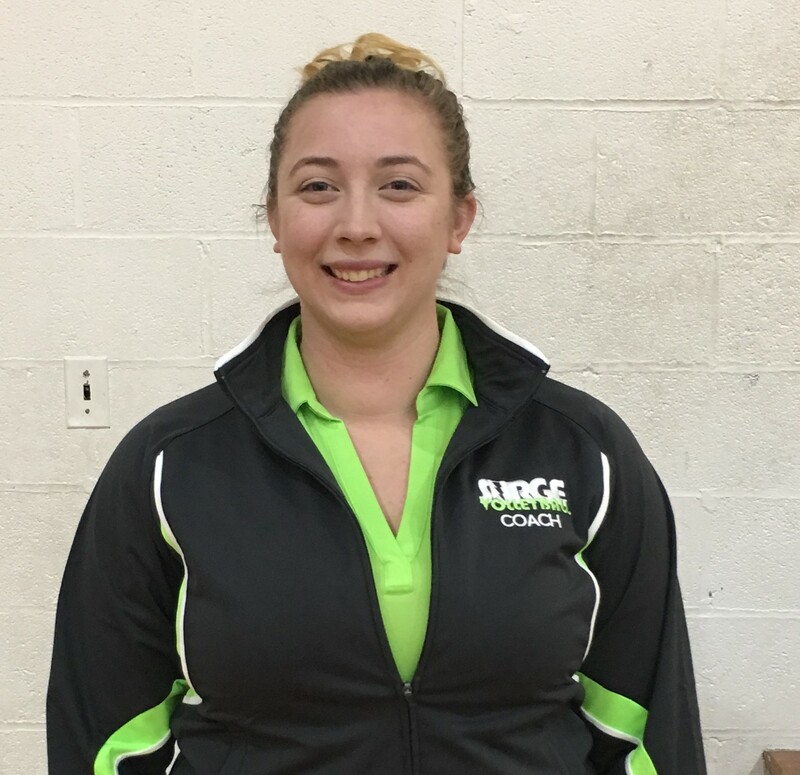 During the summer, Kelsey competes in grass doubles and quad tournaments, and this club season will play on the Surge Women’s Team. This is her 3rd season with Surge VBC. Timothy’s Coaching Philosophy: Consistency, teamwork, confidence, aggressiveness, positive mindset and being a smart player. His Expectations: He hopes to teach the game he loves to a group of players willing to learn, improve their game play and growth in the sport. Our goal will be to improve with each tournament & practice. He also hopes to teach many valuable ‘life lessons’ as well. 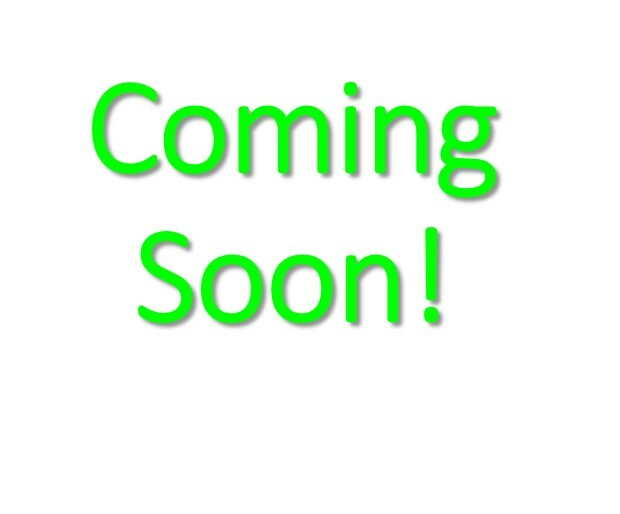 He is Positive Coaching Alliance (PCA) certified and a Life Member of the Pennsylvania Coaches Association. Beth has been coaching junior girls volleyball for 8 years from ages 11 to 18 with 9 seasons as a head coach. Beth began her volleyball career with Solanco High School where she was a two year varsity starter and Captain of her team senior year. She also played two years at the collegiate level for Penn State Harrisburg and was captain during the second season. Beth currently an active member of the Surge Women’s Team and occasionally competes in recreational play in the area. Brandi started playing volleyball in the 6th grade and continued through high school and college, playing as a libero and setter. 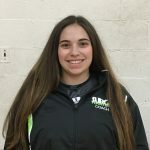 This is her second season coaching with Surge. Brandi has a BS in Biology and is a pediatric Physician Assistant. On her down time, she enjoys spending time with her husband, Kevin, and their dog, Bailey. Brandi still finds time to play competitively in local tournaments and open gyms. 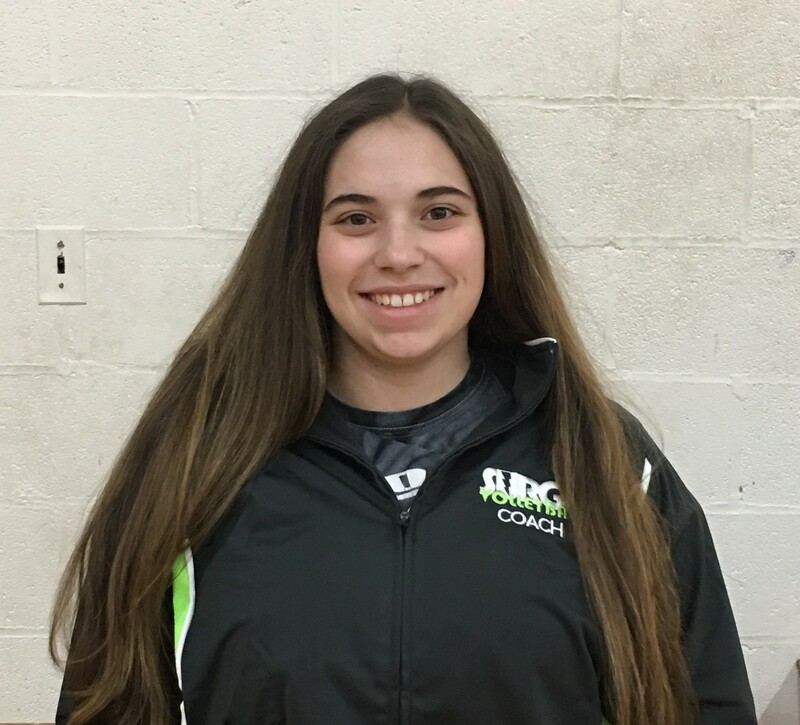 Brandi’s coaching history: CYO 2015-2016, TCA 13s regional 2016, Surge 14s 2017. Brandi’s coaching philosophy is simple: Brandi wants to teach fundamentals while improving teamwork and have some fun while doing so. Brandi is very patient, fun-loving and hardworking. She coaches because she loves the sport and she wants to pass that love on to her players, eventually getting them on a high school team and hopefully college. 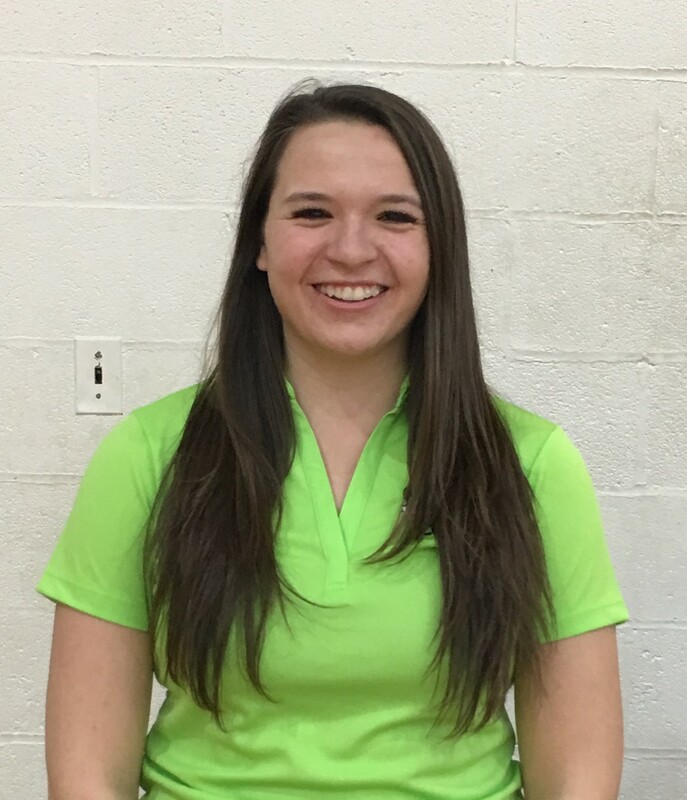 Heleanna has been coaching girls volleyball for 6 years, ages 14 to college level; with 4 seasons as head coach. Heleanna began her volleyball career at Wilson High school. She was the starting Middle blocker; after high school she played at Penn State Berks, where she was the starting Middle her sophomore thru senior year. During her senior year, Heleanna was captain of her team and holds every blocking record. She was coached by John Forry throughout her college career and now is an assistant for him. Her coaching philosophy is the ability to understand the game at a new level and understand the why of the game. This allows for development in volleyball IQ, and playing ability to grow. Heleanna continues her growth as a coach and player, by playing and working with coaches to expand her abilities. John started his playing career in 1995 for Exeter High School. While at Exeter, his team competed in the county finals and district semifinals. After High school, John continued playing in various doubles and quads tournaments as well as 6’s leagues throughout Berks County. In 2001, as a senior at Alvernia College, now Alvernia University, he was the starting outside hitter on Alvernia’s first men’s volleyball team. John graduated from Alvernia in 2001 with a degree in Social Studies and Secondary Education as well as Special Education. 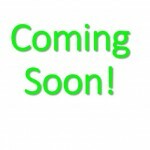 In late 2001 John became an assistant girl’s volleyball coach at Muhlenberg High School and the assistant boy’s coach at Reading High School where he taught. In 2002 John took over as Head Coach for a one win Muhlenberg High School team and stayed until 2012. At Muhlenberg, where he also became a teacher, his teams improved year after year as he compiled a 98-88 record over 11 seasons, 7 district playoff appearances, 3 county playoff appearances, and 1 county finals appearance. In 2005 he was named Berks County Coach of the Year as he also coached the Player of the year. Forry resigned in 2012 from coaching the program he built as he also resigned his teaching position. After a year off from coaching, he decided it was time to get back into it at the college level. In the summer of 2013, John was Named Head Women’s Volleyball Coach at Penn State University Berks Campus where he had 5 successful seasons before retiring to coach his children. During his time at Penn State Berks, He compiled an 88-59 overall record while going 45-13 in conference play. His 88 wins is a school record for most wins as volleyball coach at PSU Berks. His teams made their conference playoffs every year under his guidance, posting 2 quarterfinals appearances, 2 semifinals appearances, and one finals appearance. He has coached 3 Conference Defensive Player of the Year, 1 Rookie of the Year, 6 First Team All-Conference Selections, 3 Second Team All-Conference Selections, and 5 Third Team All-Conference Selections. John is proud to say that one of his most decorated players, Madison Wojciechowski, 2017 Northeastern Athletic Conference Defensive Player of the Year and First Team All-Conference is a Surge Volleyball Alumni and current coach. John’s coaching philosophy has not changed over the last 17 years. He feels that teaching the “why” of the game promotes intelligence and growth which in turn will always lead to a better product on the court. He believes the smarter player will always win the day. 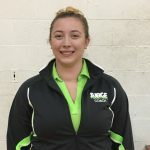 Brooke is very excited for her first season with surge. Brooke has been coaching the past couple of years from junior high to high school. Brooke started her volleyball career when she was 12 and never looked back. She was a four year varsity starter at Cocalico high school, a captain her senior year. She earned Lancaster Lebanon leagues all star awards section two 2nd team her junior season, and section three 1st team her senior season, and was also awarded outstanding senior athlete at Cocalico. Brooke is pursuing a career in cosmetology as a hairdresser, but continues to play in recreational leagues and adult tournaments. Brooke’s coaching philosophy: she wants every girl to be able to play to their full potential and learn and grow as volleyball players and young women. Girls should play to get better, learn, and to have fun. Brooke wants to share her love of volleyball, knowledge, and skills with young players and help them grow to love it as much as she does. Jerry’s interest in volleyball started in the 1980’s as both a player and fan of the game. Over the years, he has enjoyed playing in many leagues, grass, and sand tournaments and now looks to share his appreciation for the game with the next generation of players. Jerry has been a head and assistant coach with the J-Stroke Volleyball Club and a practice coach for the local CYO league. His approach and beliefs for youth sports: persistence, positivity, and patience will lead to performance. During this time, his teams have won multiple awards from bronze to gold medals. After retiring from L.M.Y.A. coaching, Ron concentrated on outdoor grass play with indoor courts as a back-up, with a brief session in an Allentown league. Ron has recently started competing at a more competitive level in several tournaments with a win at the East Coast Volleyball Horsham Tournament for Quad BB level last year. Ron has been organizing “open-gym” for the Lower Macungie Community Center before moving to the Kutztown area where he currently resides. Keith began playing volleyball over 25 years ago both indoors and outdoors. He was on the 101st Airborne Division and 3rd Infantry Division Post teams as an Outside Hitter and setter, earning MVP honors 3 out of 6 years. He truly loves the sport and wants to share his knowledge and passion for the game with every player he coaches. Keith focuses on teaching the proper fundamentals, technical skills, teamwork, effort, and sportsmanship. His goal for all players is to play the game with passion and aggressiveness, all while learning the game and having fun. Keith is Impact Certified and has completed Safe sport, Concussion, and Cardiac courses.